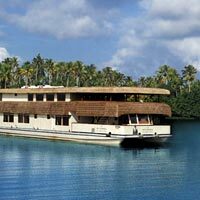 A detailed Kerala guide to backwater cruises, houseboats, hill station hideaways and tea gardens, with a Kerala resorts review, by Philippa Young, and more from Smart Travel Asia and Dancing Wolf Media. Lie on a beach, lounge on a houseboat, or stroll through cool tea plantations. Our Kerala resorts guide to the best of the coast – from heritage homes and homestays to business hotels. AROUND the time the A320 aircraft entered Indian airspace I was assailed by the harrowing cry of “Auntie, auntie, let’s play on the slide.” There was no time to worry about where I was going to find a slide 30,000ft aloft or how I was going to politely remove the screaming child while loving parents looked on – presumably happy to watch someone else suffer. Later, cast as daughter now, I helped the grandmother in the neighbouring seat fill in the forms she could not see, by shouting the questions she could not hear. India, if nothing else, is familiar. You’re part of the family before your South Indian head-roll can decisively say “yes, no, maybe”. Kerala state, meaning “land of coconuts”, comprises a sliver of land hugging India’s southwestern coast, resembling a thick Indian moustache, tilted vertically, Picasso-esque on the Subcontinent’s triangular chin. Sandwiched between the Western Ghats and the Arabian Sea, Kerala is 590km in length and 100km at its widest point. All good things come in threes and Kerala is no exception. Three distinct landscapes: verdant hill stations, intricate backwaters, and some of India’s finest beaches; three periods of colonisation: Portuguese, Dutch and the British; three Cs: Communism, coconuts and culture; and even three colours of banana: they come in edible reds, yellows and greens. 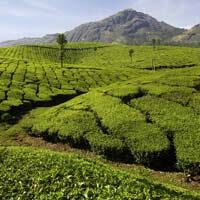 As any Kerala guide will point out, this is a lush land of plenty with lots for travellers of any bent. Whether you’re excited by ayurveda – the system of traditional medicine that originated in Kerala, colourful kathakali dance performances, a dose of voluptuous, jiggling celluloid, or a stomachful of the spicy, coconut-infused curries, Kerala will deliver, with a cup of sweet local coffee, a head-roll and a smile. Start with our Kerala Map. Kerala hosts three International airports: Kochi (Cochin), Thiruvananthapuram (Trivandrum) and Kozhikode (Calicut). Our tour of the southern half of Kerala began in Kochi. This small airport has a reputation for being hassle-free: there are just seven gates and three baggage carousels. Indian flights have notoriously uncivilised arrival and departure times. So like me, with a circa midnight arrival time, your greeting may consist of a hundred empty grey chairs and a sole box TV commanding the attention of five men with its gyrating scenes. Immigration is painless and efficient, giving rise to the eerie feeling that this brief period of serenity is about to spit you out into utter chaos. Not so – simply head to the licensed taxi counter: it’s around Rs510 for the 45-minute ride into the city. Auto rickshaws (three-wheel passenger scooters) are around half the price but will take three times as long to navigate Kochi’s less-than-modern infrastructure. You’ll see fewer than in days gone by but, particularly in rural areas, the loyal Ambassador car still reigns. This stalwart and surprisingly comfortable conveyance, an icon of India and a colonial throwback to the Raj, is dying out with more fuel-efficient cars on the rise. While the dollar writhes like a fish on a line, the exchange rate for Indian Rupees is around US$1=Rs66, which means you still get a lot of Bollywood for your buck. Welcome to God’s own country. And on with our Kerala resorts review. Do first, peruse our Kerala Map. “Born in a storm, nurtured in rivalry and established at the crossroads of European Empires” runs the adage describing Kerala’s colonial past. Kochi, or Cochin, was once the centre of the Indian spice trade. It remains one of India’s largest ports and, like many South Indian cities, is a hive of development for the IT industry. Kochi has three distinct areas separated by channels of the vast, ever-present Vembanad Lake. Ernakulam is all noise, dust and cars, where you’ll find the heart of Kochi’s business district and authentic local cuisine; Willingdon Island is a man-made island and home of the modern port; and Fort Cochin and Mattancherry is the place for heritage sites, homestays in picturesque colonial buildings and a European-flavour café culture. Our Kerala guide starts on the tip of Bolgatty Island, the closest island to Ernakulum, where you’ll find the oldest Dutch Palace outside of Holland. 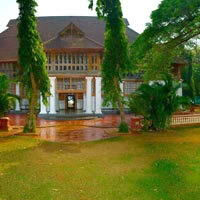 Bolgatty Palace and Island Resort is now a heritage hotel run by the Kerala Tourism Development Corporation (KTDC, www.ktdc.com). The low-lying building, spread elegantly over rugged grassland is accessed primarily by a narrow, winding path (you can also arrive by speedboat across the harbour). Doric white columns and a red-tiled roof, interspersed with native frangipani and squawking birds, present a slice of Dutch colonial history at the end of the bumpy track. The hotel’s 34 rooms include six Lake Front rooms and four Palace Suites. In-room amenities are basic and a little tired, but while the décor may not pass muster, the service is second to none. A gaggle of white-shirted waiters will graciously assist you on your way to tasty buffet meals, and discretion seems to be everyone’s middle name. The resort also has a golf course, swimming pool and horse riding is available. 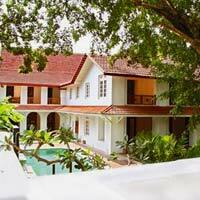 Still popular with honeymooning couples Bolgatty Palace is a charming place to lay your head, a good choice for top Cochin hotels. In the busy city of Ernakulam the main choice for business is the slowly modernising Le Meridien Cochin Resort and Convention Centre. Out of 223 rooms, 30 have been recently renovated to a high, modern standard that breaks the average hotel-room mould of Kochi. Splashes of red and funky art work well in the light-filled space. It’s certainly not “essence of Kerala” but if here on business the work desk, minibar, safe, 35” LCD TV, bedside control panel and large, modern bathroom with separate bathtub and shower, will more than make up for it. Amenities are generous but you’ll pay around Rs750 per day for WiFi. Remaining rooms have a more traditional style with more wood furnishings and a smaller bathroom. There’s a health club, free yoga classes, ayurvedic centre, a selection of meetings rooms and a 5,000 capacity convention centre. Willingdon Island (also commonly Wellington) is a man-made slice of land in-between Ernakulam and Fort Cochin. Here you’ll find hotels with a good mix of leisure and business facilities, boasting easy access to both faces of the city. Casino Hotel – “chg earth experience” for clean, green, healthy – is the Casino group’s business hotel, offering 66 standard rooms and one suite over three floors. Rooms are 270sq ft to 300sq ft and sport box TVs, minibar and WiFi for around Rs360 per day. Bathrooms are compact and functional. Casino Hotel’s good facilities, including two restaurants, bar, swimming pool, ayurveda centre and conferencing and banqueting halls, make it a popular Cochin hotels choice for business travellers. The Taj Malabar Cochin pitches itself as the oldest running hotel in Cochin. Starting life in 1935 it offers 96 rooms; Heritage rooms on the first floor and newer Tower rooms in a seven-storey block. Of the two, Heritage rooms boast more stretch space, wooden floors, high ceilings and large bathrooms with a separate bath and shower. Expect Wi-Fi (around Rs650 per day), LCD TV and DVD, safe, mini-bar plus tea and coffee facilities. If out to impress, around 1,000sq ft of space on each floor is given over to a suite, with two large LCD TVs, a lounge, four-poster bed, walk-in wardrobe, balcony and marble bathroom. The Jiva spa includes a salon and the hotel has a business centre and three meetings halls with a 70 to 300-person capacity. The Taj Malabar also offers free nightly cruises and cultural performances. Trident is another option on Willingdon with a more corporate bent. With 76 guestrooms and 9 suites, plus conferencing facilities for 100 people, this is a more intimate business hotel just 20 minutes from the central business district. Trident is a smart space, with simple, unfussy décor, providing TV, multi-utility electric clocks, safe and mini-bar in-room. After balancing the budgets head to the onsite ayurveda centre to balance the rest of you. Cross one more bridge to find Fort Cochin, an area peppered (pun intended) with rich traces of spice trade history. Pick up a bag of Kochi’s famous black peppercorns or cardamom pods among many other fragrant spices and oils. Or visit a heritage site like the Paradesi Synagogue, the first outside of Israel, situated in Mattancherry. Step inside for the princely sum of Rs5 to see the array of Chinese tiles and Belgian chandeliers. The surrounding area, known as Jew Town, is the best place to shop for gifts and crafts from all corners of the Subcontinent. If searching for an authentic Kerala gift it’s best to stick to spices, tea and lemongrass oil. While here, don’t forget to take in a kathakali performance that runs daily at the Cochin Cultural Centre (www.cochinculturalcentre.com) and at other small theatres around the city. Fort Cochin is chock-a-block with heritage homestays and a clutch of the best can be found across from Vasco da Gama Square along Tower Road. The Tower House and Le Colonial are part of the classy Neemrana “non-hotel” hotels sited in heritage properties across India. Both hotels tick all the evocative colonial boxes: cool tiled floors, dark woods and antique European furniture against white-washed walls with arched doorways, bay windows and high, high ceilings. Le Colonial, adjacent to St. Francis Church, is the larger property while The Tower House has an unbeatable location opposite Chinese fishing nets. Both have swimming pools and old-world drawing rooms that invite serious relaxation and a good book. Vast bedrooms are all individually styled: think antique beds and furniture, no fussy frills and lots of attention to detail. Here heritage is a step back in time not an excuse for peeling paint. Bathrooms have been tastefully modernised with smart black tiles, keeping the original features where possible. A pleasant surprise that extends throughout Fort Cochin hotels: WiFi is available in all rooms, and for free. 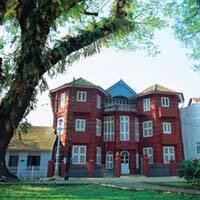 Next door to The Tower House, in striking red, is Koder House, another evocative Cochin heritage hotel. Bearing the name of its original owner, Samuel Koder, from one of Cochin’s most illustrious Jewish families. The house is now a six-suite hotel. Entrance into a chessboard-floor lobby is small but impressive, with two dark-wood staircases taking you up to the enormous bedrooms. Here you’ll find a more grandiose style in the lush fabrics and furnishings. Each room has a small shuttered balcony, box TV, desk, sofa, dressing room and bathroom with a Jacuzzi bath – the only modern concession in a bathroom that retains its original sink and taps. The Serena Spa is a new addition, making use of two small rooms off the 200-year-old wooden “hanging bridge”, which you’ll no doubt be shown and encouraged to tiptoe onto. A short walk round the corner is another Koder property, Victory Dawn. This tea bungalow has six guestrooms and offers bed and breakfast accommodation with more basic rooms. You’ll not be short of heritage hotels of all price ranges in this area. Other top-notch choices in this area include Old Harbour Hotel, Killians Hotel and Chittoor Palace. Brunton Boatyard (another cgh earth experience) is an interesting, new addition to the Cochin heritage hotels set. It looks and feels as heritage as they come but is in fact only ten years old. But, without us spilling the beans, you wouldn’t be able to tell. A sense of the colonial has been recreated to a high standard, even down to the slowly swaying punkhas (old-fashioned, hand-pulled ceiling fans) in the lobby. Set around a courtyard, the 22 rooms and four suites, indulge in more heritage pomp with each individual room containing a series of small anterooms that provide a quaint and slightly haphazard sense of an old converted house. Inroom there are a few modern concessions including a small TV, safe, minibar/pantry and WiFi. Find a coffee shop, tea lounge, two restaurants and the Aryatheeran ayurveda centre, plus a ferry service to Vypin Island and a nightly sunset cruise, free to guests. 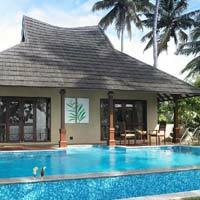 Cherai Beach Resorts, Cochin, north of the city, is made up of Fishermen Villas in traditional Kerala style, with no room identical to the other, and Modern Villas, all set within picturesque backwaters and along the beach. The homegrown accommodation is built with natural products like coir, bamboo, palm lead thatch, cane leaves, and mud walls decorated with traditional paintings and floors in terracotta tiles. The Modern Villas are air-conditioned with cable TV, minibar and telephone. Park on Vembanad Lake has joined the chorus of Kerala backwater hideaways, with a twist – the accompanying 28m two-level Apsara, an eight-cabin cruiser that whisks guests around the balmy lagoons and canals. Expect in-room flat-screen TVs, double beds and en suite bathrooms. A spa menu is available. If rolling on the river is not your cup of tea, check in at the resort, which doubles as a docking station. Park has 10 rooms, a deluxe suite, tented spa, pool and workout gym. The Apsara sails between September and May to avoid the monsoons. No worries, you’ll still get spray in your face. Our Kerala guide continues southwards. It’s a two-hour scenic drive down the coast through villages to the backwaters of Kumarakom, now home to come of the best Kerala spa resorts and Kottayam, the town made famous by Arundhati Roy’s novel “God of Small Things”. 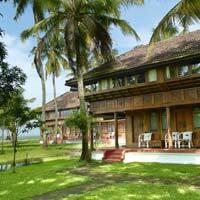 A standout property in Kumarakom is Coconut Lagoon. 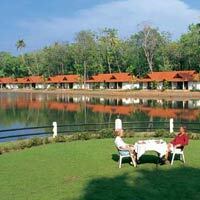 Literally encased in the cooling backwaters, Coconut Lagoon – a cgh earth experience – cannot be reached by road. Instead a 10-minute water taxi will languidly push its way through green carpets of water hyacinth, dodging the occasional houseboat, before gliding past the low white wall encircling the property. At almost 20 years, (parts of the property are 200-years-old) Coconut Lagoon was the first to break away from the conventional beach resort style. This is certainly not for beach bums. 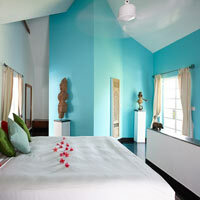 The 50 rooms are made up of heritage bungalows and two-storey Mansion Villas, some with pools. All-wood houses are built in the traditional no-nail tongue and groove fashion with all efforts made to retain an essence of Kerala. Bungalow rooms are simple wooden structures with a partially open bathroom, high ceilings and antique furniture. In split-level Mansion rooms find the bedroom upstairs with a Kerala-style bench encircling the room underneath wraparound windows. A no-TV, no room-service policy is intended to encourage outdoor exploration of the resort’s butterfly garden, and fish and bird sanctuaries with the onsite naturalist. Or just to laze in the hammock outside each room. Staff is 90 percent local and can introduce you to the Kerala craft of coir weaving or invite you to their residence for an authentic home-cooked meal. Coconut Lagoon has a novel method of mowing the lawns: a rare breed of miniature Vechur cow that particularly enjoys munching on the thick Indian grass. 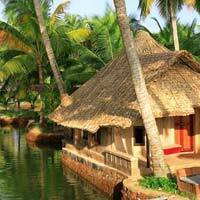 This is one of the top Kerala luxury resorts in a painstakingly authentic setting. If you want to stay on dry ground Kumarakom’s main winding stretch of road hosts all the main resorts within fifteen minutes of each other end to end. Kumarakom Lake Resort (a KTDC property), on the edge of the ever-present Vembanad Lake, offers 59 Heritage and Pool Villas. A 250-metre-long pool winds through the eastern part of the resort, around which are clustered the two-storey Pool Villas. Don’t mix up the clear pool waters for the murkier canal, which winds through the rest of the resort, banked by lush green grass and plenty of nature. Open traditional Keralan doors into the Heritage Villas, with white walls, wooden ceilings, and traditional Indian artworks. There are large LCD TVs in each room, along with open bathrooms and outdoor showers. Bathrooms are not for the coy, as the sink and toilet area is in full view of the private Jacuzzi pool. There are two restaurants and the Ayurmana spa, plus a private houseboat available for hire. Free to guests are activities such as yoga, pottery and craft classes and a nightly sunset cruise. Mark it down. This is a surprise climber on our Kerala resorts review. What started out as the home of Christian missionary George Alfred Baker is now the 28-room Vivanta by Taj - Kumarakom, Kerala. A rectangular arrangement of lagoons, ponds and villas is surrounded by backwater canals and headed by the 132-year-old Baker’s bungalow, housing the reception and three guestrooms. Off the large man-made lagoon are ten cottages, with eight villas fronting two smaller lily ponds. The mantra at Vivanta by Taj – Kumarakom, is “blended to nature” and you can pick up a bicycle to explore the many gardens and walkways. Each room carries the name of a native bird, with the bird itself – stuffed for your taxidermy pleasure – inside. A quaint indoor porch leads into the heritage-style bedroom. There are modern amenities in the form of LCD TV, laptop safe and a set of scales. Larger villas have a modern bathroom with outdoor rain-shower, and more floor space for a dressing table and lounge area, plus a small outdoor terrace. When we dropped by to do this Vivanta by Taj - Kumarakom review, WiFi was chargeable at around Rs600 per day. The hotel is everything you’d expect of a Taj, with polish and appeal. Modern incarnation The Zuri Kumarakom, Kerala Resort and Spa (formerly the Radisson) is an upstart among the Keralan-style resorts. But if you’ve overdosed on “heritage” you’ll appreciate the Zuri’s modern concept of luxury. Zuri Kumarakom’s 72 rooms are set around an artificial lagoon and perfectly manicured gardens. Cottage rooms are attractively decorated and spacious with LCD TV, desk, laptop safe and generous amenities. Bathrooms have a bathtub and two showers: one indoor, one outdoor rain shower. Pool Villas have an extra living room and more outdoor space with private pool. Colourful bathrobes are a nice touch. The resort boasts one of the largest spas in southern Kerala, Maya Spa. Here you will find myriad Western and Ayurvedic treatments, plus hi-tech hydrotherapy rooms and the latest water relaxation tank from Italy. A spa treat is a must at this resort. Waterscapes Kumarakom, a KTDC property, is something a little different. After navigating the long, winding walk, crossing backwater canals, to the reception you’ll understand why the resort bears its watery name. What remains inexplicable is why all the houses are on stilts – on the ground. Nevertheless, it is an interesting concept with elevated views of Vembanad Lake. A hammock swings under each of the 40 stilted cottages, providing a perfect place to stay cool in the heat of the day. Rooms are basic but all have a balcony with canal or lake views. There’s a small Ayurvedic spa, restaurant and, another surprise, a beer parlour. The 53-room Whispering Palm is another good option. The white cottages are fairly packed together but rooms are spacious and airy with a small terrace and hammock. The bathroom is partially open to the elements but the shower stays indoors. Another resort of a similar style is the 34-room Backwater Ripples. While a mere 15km as the crow flies, the drive from Kumarakom to Alleppey has to circle the vast Vembanadu Lake along 45km of dirt roads. Stop for fresh coconut juice at the roadside along the way. Or you could cruise your way on a houseboat – top speed: 15 miles an hour. One or two nights on a traditional rice barge, or houseboat, is a must to really experience the nature of the backwaters and local life on its banks. Over 1,000 houseboats slowly tour the intricate network of 44 rivers, 900km in length. There are plenty of tours to choose from. Try the Casino group-run Spice Coast Cruises (tel: [91-484] 301-1711, www.cghearth.com) in its kettuvallom (the Malayalam word for a traditional rice barge). The houseboat is solar-powered, with one or two en suite bedrooms, lounge, sun deck and a crew of three. Other companies include the Alleppey Tour Company (tel: [91-474] 223-2040, kayaloram@satyam.net.in), Kerala Tour Company (tel: [91-474] 225-4275, ktcalleppey@rediffmail.com), and Bon Voyage (tel: [91-474] 226-1079, bonvoyage@sancharnet.in). Packing a little more clout on these scenic waterways is The Oberoi Motor Vessel Vrinda. For four days and three nights at a speed of six to seven knots, 16 passengers can get a backwater experience with a little more luxury, solidity and space than in a traditional houseboat. Cabins offer timber flooring, en suite bathrooms, safes, DVD players and TVs. The cruise includes stops to explore heritage sites, all meals, guides and evening cultural dance entertainment. This waterborne retreat is at the top end of the Kerala houseboat experience. 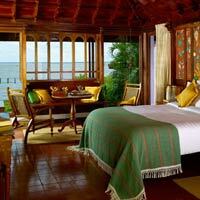 There are a couple of resort choices in Alleppey that don’t rock underfoot. If in need of some beach bum time away from the backwaters, the Marari Beach Resort – a cgh earth experience – is set on a long stretch of uninterrupted, ochre-coloured sand. Rustic, stone-flagged paths lead to 62 conical-shaped thatched huts that are basic but airy and comfortably furnished. As with Coconut Lagoon you won’t find a TV inside, but can get your technicolour fix and WiFi in the Club House. Deluxe Pool Villas have more stretch space with a high-walled courtyard and large private pool. There’s a butterfly garden, organic kitchen garden and ayurveda garden to stretch your legs around. Marari Beach’s ayurveda centre is comprehensive with ten rooms and three doctors, just in case relaxing on the beach simply isn’t relaxing enough. Heading towards Lake Palace by water taxi you’d be forgiven for thinking you’d floated into Orange County. The lowrise faux-villa condo-style accommodation, while comfortable, isn’t quite the rustic backwater hideaway if that’s what you’re looking for. Bungalows and Water Villas on stilts are also available. Lake Palace aims to offer something different in its innovative swimming-pool-in-a-lake. Despite the resort’s try-hard attitude don’t expect any interior design flair. Décor in all rooms is dated – fair enough considering this is literally a backwater. Lake Palace also has its own houseboat for hire. Turtle Beach, one of eleven Abad properties in the state, is a good mid-price option with 26 semi-detached Cottages and three Beach Villas in a natural setting, close to a small stretch of white sand beach. Step into the bustle of capital city Trivandrum (now the tongue-twister Thiruvananthapuram), a four-hour drive from Kumarakom and Alleppey, located at Kerala’s southernmost point. You can start or finish your Kerala journey here at the International Airport, 6km from the city centre. Trains also rumble into Trivandrum station, direct from all the major towns in Kerala and major cities in India. The Abad Airport Hotel is a clean, easy stopover option, fairly easy on the wallet. Trivandrum’s hotels are business as usual, but if you’re visiting the city, there’s far more to it than meets the busy-city eye. Check out the temples and museums. If you have time to explore, visit the Padmanabha Swamy Temple, which boasts Dravidian architecture and stone carvings (although only Hindus are allowed inside). The Kuthiramalika Palace Museum (tel: [91-471] 247-3952, open 8.30am to 1pm) is just next door, or visit the newly renovated Napier Museum (tel: [91-471] 231-8394, open 10am to 4.45pm), famous for its sculptures and set within the Zoological Park where young lovers roam amongst the hundred-year-old frangipani trees. Looking for some Kerala shopping to take home? Trivandrum is a saree-shopper’s heaven. Pick up a traditional Keralan saree (or sari), simple white cloth bordered with intricate sequinned zari work (or jeri), from Karalkada (Kaithamukka Petta Road, tel: [91-471] 247-4520, www.karalkada.com). Parthas (Power House Road, tel: [91-471] 246-1949, www.parthastvm.com), on the other hand, gives you a taste of the real fast-paced hustle of saree shopping. Choose your textile, synthetic or cotton, while the sales attendant throws bundle after bundle towards you as you modify choice of price and colour. This is fast, furious and fun shopping. For an upmarket (read expensive) buying experience check out one of the city’s Saga Emporiums. On to the best Trivandrum business hotels. With 137 rooms the Taj Residency is as large as corporate hotels get in Trivandrum. All rooms are roughly 325sq ft doubling to 650sq ft in 11 Executive Suites. Décor will suit a functional visit with a not unpleasant cut-and-paste hotel feel. Large windows let in lots of light and there’s a laptop safe with power point, mini-bar, LCD TV, Wi-Fi (Rs600 per day) and a compact, modern bathroom with rain-shower. There are four small conference halls if planning an in-house meet. Mascot Hotel, a KTDC heritage business hotel just off MG road at the PMG Junction, is the oldest hotel in Tiruvananthapuram. Once an army base in the first world war, the white-walled, red-roofed building is set within over four acres of land in the middle of the city. The colonial structure has wide corridors, high ceilings and thick walls to block out the noisy main road. Guest rooms are spacious and simply furnished with box TV, desk, minibar and a large bathroom. WiFi is available at Rs200 per hour. Suites have an LCD TV and separate bathtub. Privately run The Muthoot Plaza, a Sarovar Premiere Hotel, resembles a giant Rubik’s cube on top of a curving glass wall. From the ultra-modern outside you step into old world London. There’s the leather chaired Chesterfield cigar bar, Hyde Park meetings room and Tiffany’s restaurant. The 57 rooms are fairly compact, fitting in a desk, small sofa, mini bar and large box safe. While the décor could do with an update it is a quaint classical hotel space. Two more Abad properties sit along MG road, Abad Plaza and Atrium Hotel for a comfortable, if not terribly inspiring, place to lay your head. Residency Tower and Luciya Continental Trivandrum are reputable budget options. Trivandrum is a coastal city and has its own stretches of beach. The village of Chowara, 21km from Trivandrum airport and just 9km from Kovalam provides an easy stepping stone from city life to beach. The Somatheeram Ayurvedic Health Resort, Chowara, offers cottages, Kerala houses, suites and standard rooms. While standard rooms are nothing to shout about, the remainder of the accommodation is charmingly rustic in natural stone and wood. Expect simplicity. As the name suggests there’s an emphasis on ayurveda with travel packages including consultation with an ayurvedic doctor and a course of treatment prescribed. Treatments last between 60 and 120 minutes daily with yoga and meditation and a special ayurvedic diet. 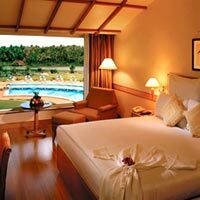 This is a place well regarded among Kerala spa resorts. Kovalam is where the beach bums get serious. Any Kerala guide is packed with details of this one spot. Is the hype worth it? At a 30-minute drive from Trivandrum and its International Airport, Kovalam has long been a popular destination. While the area is often compared with Goa’s beach resorts, Kovalam exists sans party-culture. This is indeed a major asset. A government ban on motorised water sports means that the 16 kilometres, comprised of three crescent shaped beaches, remain perfectly serene. However there is still cause to splash about with activities like snorkelling, catamaran rides and sunset cruises. Working its way to the top of the pile is the intimate 59-room Taj Green Cove Resort, a funkier version of the classical Taj Indian properties. If you’ve been to Bali you may have a sense of déjà vu. The hillside cottages decked out Bali-style in bare stone and thatch are linked by narrow paths with high walls either side and greenery packed into every available space. Cottages are clustered in sets of four separate rooms: two above and two below. Inside find a polished mix of traditional Kerala and hi-tech wizardry. You’ll find a laptop safe, large LCD TV, DVD, and home theatre system in every room. Outdoor space is generous with balcony or terrace area. Bathrooms, with attractive shuttered doors, include a separate bath. Be virtuous with free daily yoga from 8am to 9am or visit Jiva Spa’s four indoor and four outdoor treatment rooms. In amongst the landscaped gardens and smooth paths you can play tennis, cricket, nine-hole golf and archery or take a boat out on the lagoon for some fishing. In addition to Jasmine Bay coffee shop and Curries restaurant the resort has opened a seafood venue on the long stretch of private beach a short stroll from the main building. Taj Green Cove is a good option for luxury and privacy in an intimate space. A funky and fun hotel that breaks the mould and stands out in our Kerala resorts review. 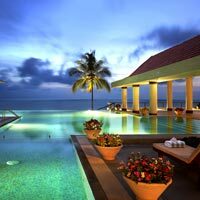 For something bigger and bolder head to The Leela Kempinski Kovalam Beach, Kerala. A huge property spanning 65 acres, The Leela has 182 rooms, 58 of which are Club rooms in the hotel-within-a-hotel. Standard rooms in the more Kerala-style section of the hotel are reached through a coloured-washed stone corridor. Rooms are full of wood and natural stone with box TV, mini-bar, laptop safe, with a traditional-style door leading into the compact bathroom. The Club section has its own infinity pool, spa, restaurant, library and convention facilities. The stylish space is distinctly un-Keralan and suite rooms are modern in monochrome and granite floors. Expect extra space for a sitting area, two LCD TVs and a bathtub. Breakfast is included in all rates. As The Leela isn’t short on space you’ll find The Divya Spa for ayurveda treatments, a yoga centre, salon, tennis, badminton, a children’s activity room, a post office and onsite information centre. Just up the road from the Leela is the new Turtle on the Beach. This grey slate monolith gets marginally better inside with lots of wooden carvings in its stab at art hotel. With 43 rooms plus a spa, a gym, coffee shop, bar, swimming pool and boardrooms, Turtle on the Beach is definitely aiming to make an impression. Inroom expect Broadband, LCD TV and DVD, laptop safe, minibar and varying sizes of balcony: some are vast. Away from the top end there are hundreds of choices. A few good mid-range options include the 200-room Uday Samudra Beach Resort with three pools, spa and beauty parlour, five restaurants, one bar and even a dental clinic should you want to boast a brighter smile. Abad Harmonia Ayurveda Beach Resort is a nice intimate option with 28 standard rooms, seven cottages and a large freeform pool. Backing inland, away from the beaches and up sloping cool hills is the third and final piece of the Kerala jigsaw – the verdant hill stations of Thekkady and Munnar. Cloaking the high Western Ghats are cooling swathes of forest dotted with lone colonial tea plantations and nature reserves that draw in travellers craving some respite from Kerala’s perma-summer heat. Heading north from Kovalam, the first area you’ll reach is the vast expanse of Periyar Lake, distinct for its signature jutting tree stumps protruding from the water’s surface. A must-do is the Thekkady Wildife Sanctuary and Periyar Tiger Reserve spread across 777sq km. Take a boat trip on the artificial lake to spot wild elephant, gaur (Indian bison), sambar deer and wild boar. Our guide of where to stay in Periyar starts bang in the middle, of the lake that is. KTDC-run property Lake Palace, formerly the summer palace of the King of Travancore, sits on an island in the middle of Periyar Lake, 20 minutes by boat from the mainland. The resort has just six rooms bedecked with antique furniture. From secluded gardens you can watch elephant herds playing by the lakeside or just relax on your verandah. With plenty of activities in and away from the resort, you can choose to explore each day or revel in utter seclusion. It’s a right royal life at the Lake Palace. Aranya Nivas, another KTDC property this time hugging the edge of Periyar Lake, lures naturalists and eco-tourists by the bucket-load. This is a small, 30-room property with simple, airy accommodation, wooden floors and box TV – if you must. Spice Village – a cgh earth experience – takes TV right out of the equation. As they put it: “nature will be the only television you watch”. Gadget fiends beware; hitting the hill stations is all about the outdoors: hiking, boating, and exploring where things are simple. Spice Village is luxuriously unobtrusive with 52 back-to-nature tribal-style, thatch-roof cottages built with split bamboo and elephant grass. Never fear, modern plumbing and solar-powered hot water are fitted in amongst the thatch. Use that TV-time to play badminton and tennis or to visit the ayurveda and yoga centre. Climb aboard an elephant at The Elephant Court, and stay there too, in one of six categories of basic but comfortable rooms. Patio rooms, to Executive enclaves to a Pool Studio with a price that could give you a nasty dose of altitude sickness, climbing to Rs33,000 in peak season. Hotel Treetop has more down-to-earth prices for its neat set of Gabled Cottages, with tiled roofs and granite-stone exteriors. An ayurvedic full body massage will set you back just Rs500. Set on a hillside facing the Periyar Tiger Reserve is the Muthoot Cardamom County. Rooms make an effort towards a softer feel and bathrooms are luxuriously fitted for this region. There’s an onsite spice shop, an organic farming area, ayurveda centre and a friendly-looking pile of board games for you to while away the evenings. 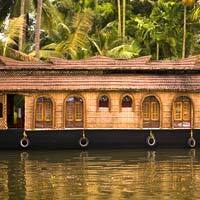 Muthoot Hotels also organise backwater houseboat tours. Quaint home stays in the area vary widely in price and comfort. Here, homestay doesn’t translate to cheap guesthouse, but intimate boutique, like the three-room Periyar Reserve Bungalow set in a sprawling six-hundred-acre cardamom plantation. Pepper County offers four rooms at very reasonable prices and even Internet access. 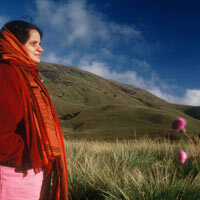 Take the high road to Munnar for your next taste of hill station life. Popular with travellers at just three hours from Cochin and four hours from Kottayam, Munnar knows what it’s got: signs along the road there read “You are close to heaven”, “You are almost in heaven” and finally, “You are in heaven”. Munnar town itself is a bit of a letdown but the countryside is delightful. An hour’s drive (from Periyar) along the Munnar road will bring you to Carmelia Resort. The sprawling resort has 25 rooms including a tree house with wraparound windows and balcony to fully appreciate the surrounding nature, a cave room in an underground cellar for absolute quiet and a meditative atmosphere, circular cottages (and circular bed) with thatched roofs set amidst tea plantations and fruit trees, and well-appointed suites within the main building. Play tennis, head to the swimming pool or enjoy a barbecue at the open fire. 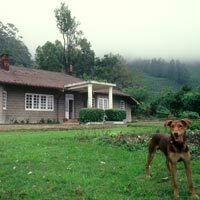 After the lodge-style accommodation of Periyar, Fort Munnar may come as a surprise. Its stark white castle-like appearance doesn’t exactly blend into the green hillside but it is an attractive edifice. The colonial building holds 26 rooms and three suites with cosy interiors and modern bathrooms, all with bathtubs. Original wooden floorboards and large bay windows are attractive features in the simply appointed rooms. Away from the rooms Fort Munnar’s location is its most impressive quality with breathtaking panoramas of the undulating hills and valleys. Take a plantation walk through the cardamom estate and tea gardens, visit a tribal village, take a lake safari or go for some adventurous rock climbing. Blackberry Hills Mountain EcoLodges are back to form for Munnar. Get reacquainted with nature amidst the attractive white cottages. Aimed largely at honeymooning couples, the interior décor is cosy. Splashes of colour and ethnic artwork add a flush to the austere simplicity. Blackberry emphasises the culture and lives of the local people, inviting you to get involved with picking tea and even playing local board games. Arrive at the end of the harvest to witness “pakida”, a game played between tribal villages where the heroes of each try to prove their mettle. There are two restaurants and countless activities or performances to keep you occupied when not busy gazing at the enchantingly misty hills. At The Tall Trees Reservations individual cottages, built on stilts, avoided the felling of a single tree in the resort’s construction. Two-bedroom Luxury cottages and Deluxe one-beds have a living room, dining room and two balconies in sturdy-looking structures. The resort is well maintained with wide, paved paths and clipped hedges, all this amidst an undisturbed forest. Walk or cycle your way around the area with resident guides and packed hampers and come back to a campfire at the end of the day. 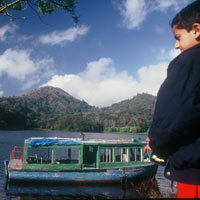 At Mattupetty Lake, Kundala Dam and Old Munnar Lake there’s the chance to go boating and water skiing. High above Munnar, past the cloud-wreathed tea country are the seemingly Scottish moors and streams of the Eravikulam reserve, alas closed to visitors, unless you know someone at TATA Tea (part of the Indian conglomerate) and can wrangle a permit. At a budget level the Abad Copper Castle is a taste of normal hotel-style in the hills. There are 38 rooms and suites, all with satellite TV. If this kind of seclusion and snail-paced life still isn’t slow enough, try heading 20km out of Munnar town to Chinnakanal where you’ll find The Siena Village. An intimate setting of 28 rooms and suites that offer teak wood flooring in bungalow or split-level accommodation. Deluxe rooms have a private balcony and a fireplace that is lit in winter to keep out the chills. Siena Village has an ayurveda centre to keep you in step with rolling hills and glorious nature that Munnar has to offer. That’s a wrap on our Kerala guide. Or simply drive on. 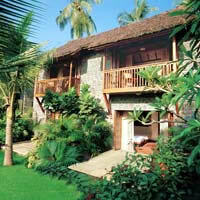 Check out resorts run by KDTC at www.ktdc.com and find more information at Kerala Tourism at www.keralatourism.org. The southwest monsoons run from June till early October when its very wet and the waves run high. The best period to visit is during the drier and modestly cooler winter months from November to March. The climate is warm tropical to temperate as you climb up into the low hill ranges in the tea country. Below is our Kerala resorts guide by district with contact details, telephone numbers and e-mails (where possible), listing business hotels, heritage homes, homestays, and houseboats. Rates given are rack (published rates) or best available at time of writing. These are a rule of thumb only. Check with your travel agent or on the Internet for the best deals. The exchange rate for Indian Rupees is around US$1=Rs66. For the geographic lay of the land, see our Kerala Map that marks out the main travel destinations. Bolgatty Palace and Island Resort. Tel: [91-484] 275-0500, fax: 275-0457, (e-mail: bolgattyislandresortkochi@ktdc.com or www.bolgattyislandresortkochi.com). Brunton Boatyard. Tel: [91-484] 301-1711, fax: 266-8001, (www.cghearth.com). Casino Hotel, chg earth experience. Tel: [91-484] 301-1711, fax: 266-8001, (e-mail: contact@cghearth.com or www.cghearth.com). Cherai Beach Resorts, Cochin. Tel: [91-484] 241-6949, fax: 241-7333, (e-mail: enquiry@cheraibeachresorts.com or www.cheraibeachresorts.com). Chittoor Palace. Tel: [91-484] 243-1380, (e-mail: thampuran@chittoorpalace.com or www.chittoorpalace.com). Killians Hotel. Tel: [91-484] 221-7245, (www.hotelkillians.com). Koder House. Tel: [91-484] 221-8485, fax: 221-7988, (email: koderhouse@gmail.com or www.koderhouse.com). Le Colonial. Tel: [91- 484] 221-7181, (www.neemranahotels.com). Le Meridien Cochin Resort and Convention Centre. Tel: [91-484] 270-5777, fax: 270-5750, (www.starwoodhotels.com). Old Harbour Hotel. Tel: [91-484] 221-8006, (e-mail: raintree@fortcochin.com or www.oldharbourhotel.com). Park on Vembanad Lake (and Apsara cruiser). Tel: [91-478] 258-4430, e-mail: tpvl@theparkhotels.com or www.theparkhotels.com). Taj Malabar, Cochin. Tel: [91- 484] 664-3000, fax: 664-3182, (e-mail: malabar.cochin@tajhotels.com or www.tajhotels.com). Trident. Tel: [91-484] 266-9595, fax: 266-9393, (e-mail: reservations@tridenthotels.com or www.tridenthotels.com). Victory Dawn. Tel: [91-484] 221-8485, (e-mail: hotelvictorydawn@gmail.com or www.koderhouse.com). Abad Whispering Palm. Tel: [91-481] 252-3820, fax: 252-3819, (e-mail: abad@vsnl.com or www.abadhotels.com). Backwater Ripples. Tel: [91-481] 256-5404, fax: 256-6404, (e-mail: backwaterripples@vsnl.net or www.backwaterripples.com). Coconut Lagoon, a cgh earth experience. Tel: [91-481] 252-4491, fax: 252-4373, (e-mail: coconutlagoon@cghearth.com or www.cghearth.com). Kumarakom Lake Resort. Tel: [91-481] 252-4900, fax: 252-4987, (www.kumarakomlakeresort.in). Lake Palace. Tel: [91-477] 223-9701, fax: 223-9705, (e-mail: info@lakepalaceresort.com or www.lakepalaceresort.com). Marari Beach, a cgh earth experience. Tel: [91-478] 286-3801, fax: 286-3810, (e-mail: mararibeach@cghearth.com or www.cghearth.com). The Oberoi Motor Vessel Vrinda. Tel: [91-484] 266-9595, fax: 266-9393, (e-mail: sharad.datta@tridenthotels.com or www.oberoihotels.com). The Zuri Kumarakom, Kerala Resort and Spa. Tel: [91-481] 252-7272, fax: 252-7282, (www.thezurihotels.com). Turtle Beach, Marari Alleppey. Tel: [91-478] 217-8964, (e-mail: abad@vsnl.com or www.abadhotels.com). Vivanta by Taj - Kumarakom, Kerala. Tel: [91-481] 252-5711, fax: 252-4371, (e-mail: vivanta.kumarakom@tajhotels.com or www.vivantabytaj.com/Kumarakom-Kerala/). Waterscapes Kumarakom. Tel: [91-481] 252-5861, fax: 252-2862, (e-mail: waterscapes@dataone.in or www.ktdc.com). Abad Airport Hotel. Tel: [91-484] 261-0411, (e-mail: abad@vsnl.com or www.abadhotels.com). Abad Plaza. Tel: [91-484] 238-1122, fax: 237-0729, (e-mail: abad@vsnl.com or www.abadhotels.com). Atrium Hotel. Tel: [91-484] 238-4374, fax: 237-0729, (e-mail: abad@vsnl.com or www.abadhotels.com). Luciya Continental Trivandrum. Tel: [91-471] 246-3443, fax: 246-3347. Mascot Hotel. Tel: [91-471] 231-8990, fax: 231-7745, (e-mail: hotelmascot@vsnl.net or www.ktdc.com). Somatheeram Ayurvedic Health Resort. Tel: [91-471] 226-6501, fax: [91-471] 226-6505, (e-mail: info@somatheeram.org or www.somatheeram.org). Taj Residency. Tel: [91-471] 661-2345, fax: 661-2122, (e-mail: reservation@tajhotels.com or www.tajhotels.com). The Muthoot Plaza. Tel: [91-471] 233-7733, (e-mail: tvm@muthootplaza.com or www.muthootplaza.com or www.sarovarhotels.com). Abad Harmonia Ayurveda Beach Resort. Tel: [91-471] 226-9272, fax: 226-6975, (e-mail: abad@vsnl.com or www.abadhotels.com). Taj Green Cove Resort. Tel: [91-471] 248-7733, fax: 248-7744, (e-mail: greencove.kovalam@tajhotels.com or www.tajhotels.com). The Leela Kempinski Kovalam Beach, Kerala. Tel: [91-471] 248-0101, fax: 248-1522, (e-mail: reservations.kovalam@theleela.com or www.theleela.com). Uday Samudra Beach Resort. Tel: [91-471] 248-1654, fax: 248-1578, (e-mail: info@uds.co.in, or www.udaysamudra.com). Abad Copper Castle. Tel: [91-4865] 230-633, fax: 231-201, (e-mail: coppercastle@abadhotels.com or www.abadhotels.com). Aranya Nivas. Tel: [91-4869] 222-023, fax: 222-282, (e-mail: aranyanivasthekkady@ktdc.com or http://aranyanivasthekkady.com). Blackberry Hills Mountain EcoLodges. Tel: [91-9447] 706-606, fax: 232-965, (e-mail: info@blackberryresorts.com or www.blackberryresorts.com). Carmelia Resort. Tel: [91-4868] 270-252, fax: 270-268, (e-mail: reservation@carmeliahaven.com or www.carmeliahaven.com). Fort Munnar. Tel: [91-4868] 249-311, (e-mail: royalgroup@eth.net or www.fortmunnar.com). Hotel Treetop. Tel: [91-4869] 223-286, fax: 223-894, (e-mail: enquiries@hoteltreetop.com or www.hoteltreetop.com). Lake Palace. Tel: [91-4869] 223-887, fax: 222-024, (e-mail: lakepalacethekkady@ktdc.com or www.lakepalacethekkady.com). Muthoot Cardamom County. Tel: [91-484] 400-0579, fax: 400-0579, (e-mail: reservations@muthoothotels.com or muthoothotels.com). Pepper County. Tel: [91-9447] 278-216, (e-mail: peppercounty@rediffmail.com or www.peppercounty.com). Periyar Reserve Bungalow. Tel: [91-4828] 284-310, (e-mail: mail@stayhomz.com or www.stayhomz.com). Spice Village, Periyar. CGH Earth, Cochin. Tel: [91-484] 301-1711, fax: 266-8001, (e-mail: info@cghearth.com or www.cghearth.com). The Elephant Court. Tel: [91-4869] 224-696, fax: 224-238, (e-mail: info@theelephantcourt.com or www.theelephantcourt.com). The Siena Village. Tel: [91-4868] 249-261, fax: 249-328, (e-mail: sienavillage@satyam.net.in or www.thesienavillage.com). The Tall Trees Reservation. Tel: [91-4865] 230-641, (e-mail: info@ttr.in or www.ttr.in).